So here is my scenario. My friend creates a counter strike server that uses the older engine and I play counter strike from 1.6. Unfortunately, the password protected server created by my friend does not appear in my LAN list. I try the connect command in console but I get the message that the password I gave was incorrect. If you guys are having similar scenarios, this post will help you out.. The trick is simple. There is another cvar called password in counter strike. First, we set the password and then use connect command. If you are setting up some counter strike 1.6 server, you are most likely going to have AMX MOD X plugin(which is a metamod plugin) for your server. AMX MOD X is a very useful plugin not just for the server administration but also for customized gameplay, statistics and fun stuffs. The basic plugins are already there in the AMX MOD X installation but in this post, I'm sharing some of the useful AMX MOD X plugins you can download and put in your server. A simple but usefull plugin: players can reset their score and money (controled by a cvar). There's a limit for score reseting and an interval between resets. Players can't reset their score if it's 0 - 0 (already reseted). Admins have a command to reset players score. This plugins lets you record the demo and take screenshots of your score. Its an useful plugin to have. The name of the plugin is self-explanatory. Pretty useful for practising aim in your server. This plugin enables an admin to find out a player's ip by typing in amx_ip . The ip prints in the console. A fun to use plugin with different features for slapping/slaying the players in-game. AIOS is an all in one slap/slap plugin that will meet ALL of you Slap/Slay needs. 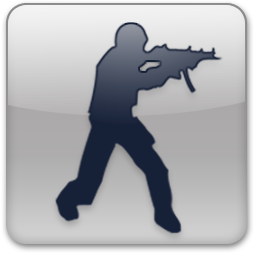 Counter Strike Death Match(CSDM) is a useful amxmodx plugin that adds deathmatch style gameplay to Counter-Strike 1.6. Chatting is even more fun when you can send emoticons to your friends and amaze those friends who have not used such emoticons before. So today after having loads of fun on exchanging these sorts of emoticons, I decided to post an entry here. Type [[techgaunnepal]] where techgaunnepal is the profile id. You can get such profile ID from the respective URL. Version 6 of nmap, one of the most widely used network exploration and security auditing tool was released on 21 May. Nmap (“Network Mapper”) is a free and open source (license) utility for network discovery and security auditing. "The Nmap Project is pleased to announce the immediate, free availability of the Nmap Security Scanner version 6.00 from http://nmap.org/. It is the product of almost three years of work, 3,924 code commits, and more than a dozen point releases since the big Nmap 5 release in July 2009. Nmap 6 includes a more powerful Nmap Scripting Engine, 289 new scripts, better web scanning, full IPv6 support, the Nping packet prober, faster scans, and much more! We recommend that all current users upgrade." The new version of nmap consists of 6 major improvements among several changes. Enhanced Nmap scripting engine(NSE), better web scanning, full-fledged IPv6 support, addition of nping tool, better zenmap GUI and faster scanning are the enhancements seen in the version 6 of nmap. I was setting up a hlds non-steam server and I was getting an error regarding the absence of this file "libSteamValidateUserIDTickets_i386.so" and hence thought of uploading it so that others can download for their own server. While installing apps on the jailbroken ipod, I got this unknown error with error code 0xE8008001 and the apple's help was not of much use. This was driving me crazy since I could not install few apps from itunes to my jailbroken ipod. However with some googling, I found a fix for it. All you have to do is install a Cydia app known as AppSync available from hackulo.us. You can either use Cydia from your device or Cyder from your PC. You will have to add the new source: http://cydia.hackulo.us/ either in Cydia or Cyder and then you will find the AppSync in the list. Download and install it and then reboot the device once. After installing AppSync, this error will not occur. So enjoy installing plethoras of apps in your jailbroken device. If you have started using Cyder v.2, some of you might find this tool throwing few errors about some DLLs. If so, go through this post to fix the problem and use the Cyder 2 smoothly. This also fixes "No iphone/ipod found" error in Cyder. Fix: Copy SQLite3.dll file from C:\Program Files\Common Files\Apple\Apple Application Support to your cyder2 directory. Replace if prompted. Error 2: Could not load iTunesMobileDevice.dll, check your iTunes installation. Fix: Download iTunesMobileDevice.dll and copy it to the cyder2 directory. If you have jailbroken your apple device, you are most likely to be using an app called Cydia maintained by Saurik. Cydia is a software application for iOS that enables a user to find and install software packages (including apps, interface customizations, and system extensions) on a jailbroken iPhone, iPod Touch or iPad. But what if you don't have wifi access to install apps using Cydia? Don't fear, there's an application for windows based PCs known as "Cyder". Cyder is a windows application that allows you to install cydia apps from your PC. Just plugin your apple device and easily install any Cydia app from any Cydia source. Running cyder is very simple. You can add the sources for Cydia apps and then select among the available packages. You can search through the huge database of apps easily with Cyder and then download them. Installing the apps to your device has been simplified by Cyder 2. I used the firebug and quickly removed one attribute each of the lower textarea and decode button. You'll have to remove the "readonly" attribute of the lower textarea and "disabled" attribute of the "docode" button. Now you can paste the packed code in the lower textarea and decode the packed code easily. Not the real reversing of the algorithm itself but works perfectly. And you can beautify the unpacked script using some online beautifiers such as this.